The smart home revolution has reached every part of the house, and the new issue T3 magazine goes through the most amazing buys room by room. Find out what smart camera looks best in the living room, how a connected fridge can change your life, and why you won't be able to go without an app-controlled shower once you've tried one. Check out a sample of the issue below, or read on for what else is in the issue! Plus, right now, we're offering an Anker battery back thrown in with a six-month T3 print and print+digital subscription! Get a FREE Anker battery pack with print or print+digital subscriptions! 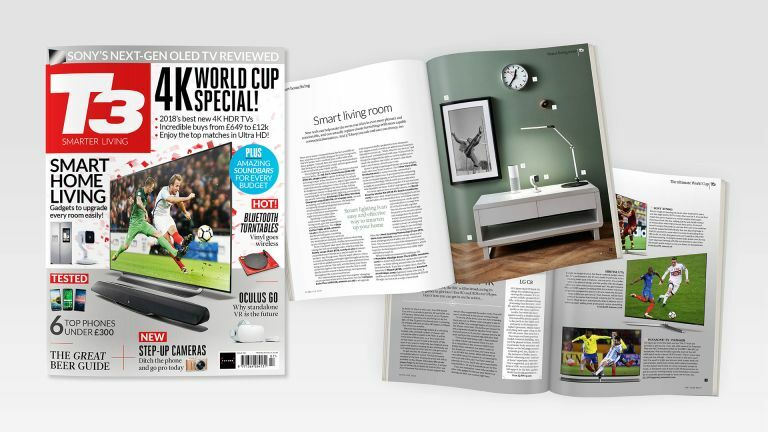 Also in this issue: your guide to having the ultimate World Cup experience, find out whether tech can help you train for a marathon, our ultimate beer guide, we test amazing cameras that are the perfect step up from phones, we review turntables that can play to wireless speakers, and find the best phones for under £300!